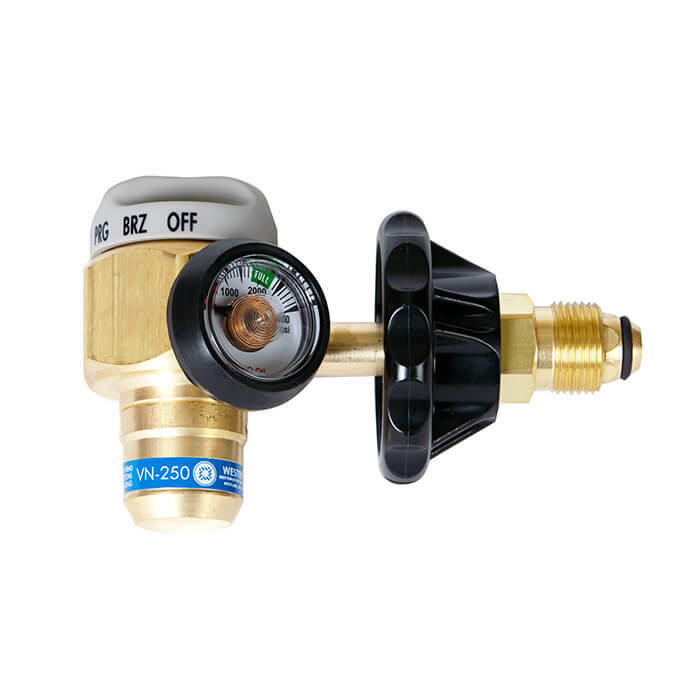 Nitrogen regulator and flowmeter all in one, this purging regulator allows you to purge, braze, and pressure test with just one unit. Braze at 3-6 CFH, purge at 25-35 CFH, and test at 250 PSI, all preset. Features preset flows for all three functions, large flow selector knob, a tool-less hand tight cylinder connection, and integrated content gauge. 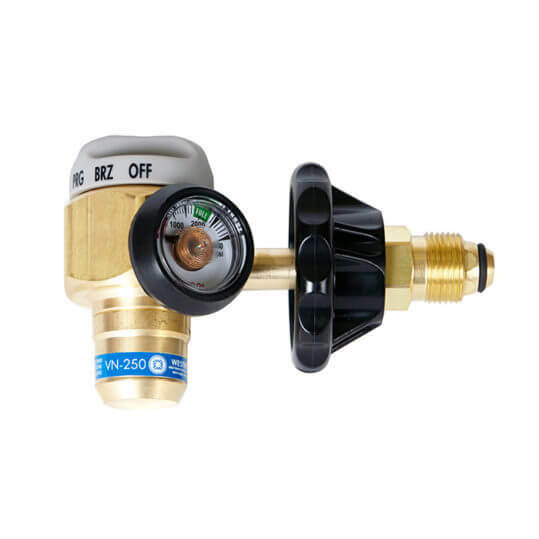 This is easy to use, easy to read nitrogen regulator and flowmeter in one. you can purge, braze and pressure test with this one do-it-all regulator. PSI test pressure of 250 with an easy to read cylinder content gauge.